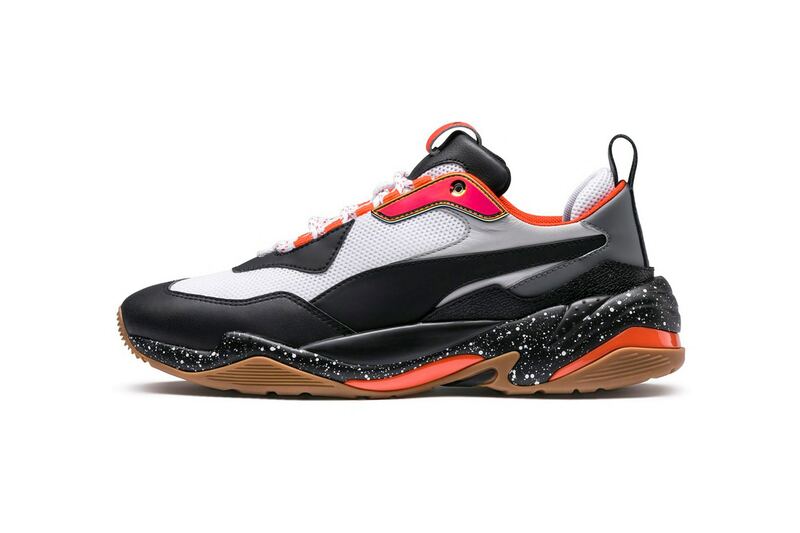 PUMA‘s Thunder Electric sneaker is coming back with a duo of new colorways after the news that a restock of the Thunder Spectra iteration will happen end of this month. Now new Black/Grey-Orange and Black/Grey/Blue-Red options are set to hit retail shelves next month still carrying a stacked sole unit and upper filled with multiple layers. Plus paint splattered accents are added too to conclude.